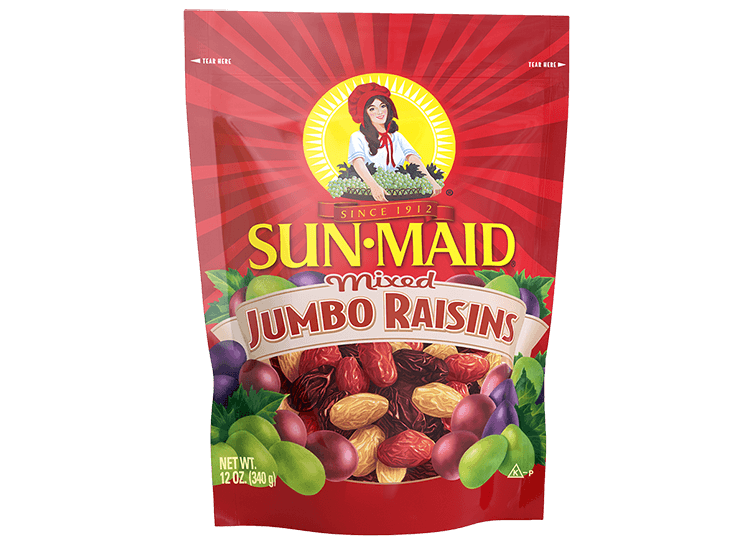 Enjoy a slice of Americana that doesn’t skimp on the cinnamon or raisins. 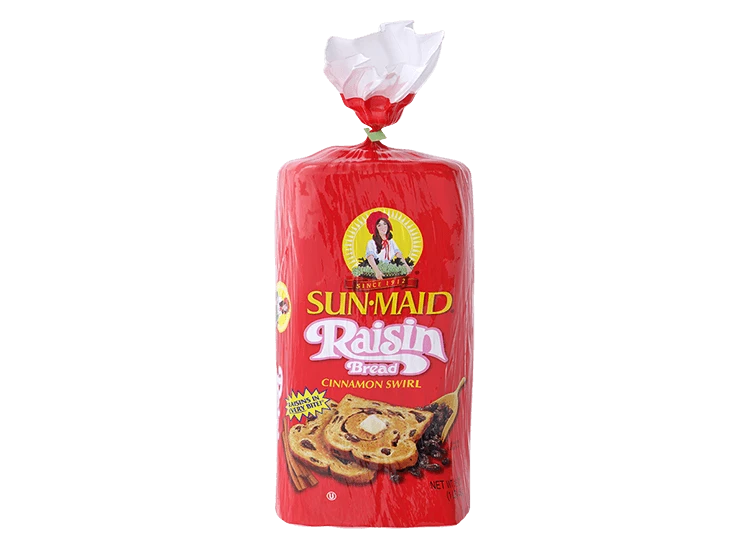 An instant upgrade to French toast, bread pudding and baked good recipes everywhere, Sun-Maid Cinnamon Swirl Raisin Bread is a must-have loaf in every baker’s pantry. *Percent Daily Values are based on a 2,000 calorie diet. Your daily values may be higher or lower depending on your calorie needs. These nutrition facts are based on the 16 oz. pack size. 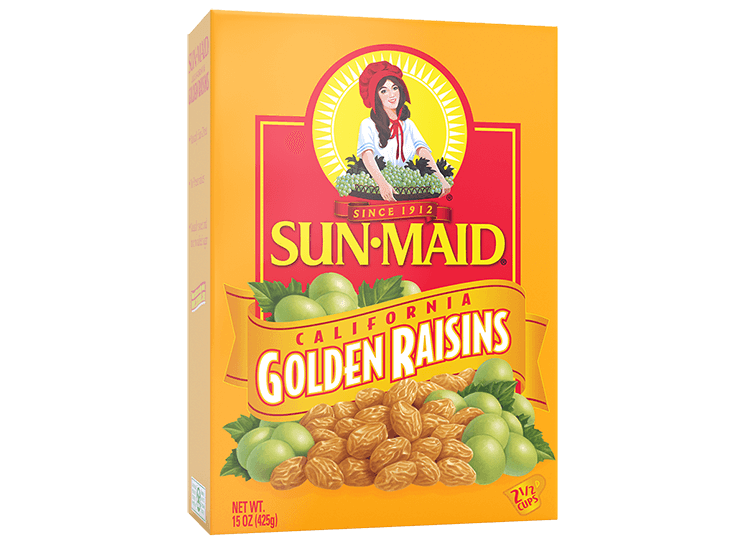 INGREDIENTS: UNBLEACHED ENRICHED FLOUR (WHEAT FLOUR, MALTED BARLEY FLOUR, NIACIN, REDUCED IRON, THIAMIN MONONITRATE [VITAMIN B1], RIBOFLAVIN [VIAMIN B2], FOLIC ACID), RAISINS, WATER, WHEAT GLUTEN, CONTAINS 2% OR LESS OF EACH OF THE FOLLOWING: SUGAR, CINNAMON, SOYBEAN OIL, YEAST, RAISIN JUICE CONCENTRATE, SALT, LEMON JUICE POWDER, WHEAT FLOUR, SOY LECITHIN, DOUGH CONDITIONERS (ENZYMES, MONOGLYCERIDES, CALCIUM SULFATE, ASCORBIC ACID). 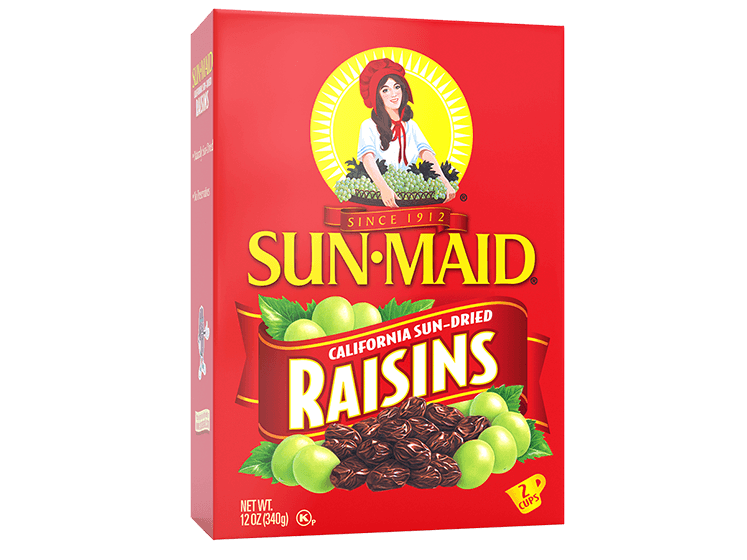 Sun-Maid bread is made in several locations, check packages for regional variations and the most current information.